Home - Plumbing, Heating & Cooling, Inc. Plumbing, Heating & Cooling, Inc. When it comes to Plumbing, Heating, or Air Conditioning, you need a trusted, local company that stands behind its work, ensuring your home is a place of safety and comfort. 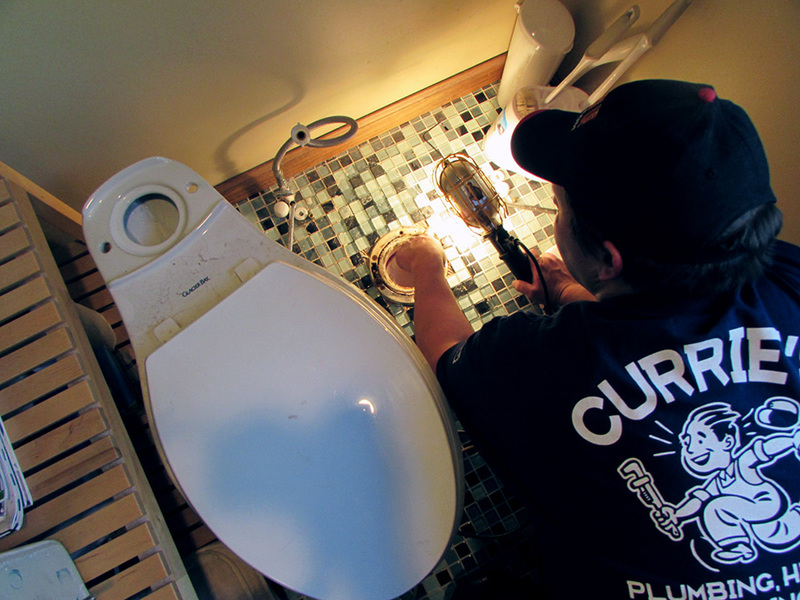 Paul Currie Jr. repairs a leaky toilet. Leaking water pipes, replacement hot water heaters, on-demand water heaters, well pumps & tanks, sump pumps, water conditioner systems, water storage tanks, garbage disposals, metering hook-ups, frost-free outside faucets, repair of burst pipes, sewer injectors, contaminated water issues, installation of washers & dryers, hookups, remodeling, and fixtures. Currie’s Plumbing Heating & Cooling Inc services a variety of oil, gas, and kerosene boilers and furnace replacements, as well as replacement parts, heat pumps, steam systems, winterizations, expansion tanks, oil tanks, thermostats, conversions, and yearly maintenance cleanings. We also service radiant in-floor heating systems and radiant and hybrid solar systems. Curries Plumbing Heating & Cooling Inc. offers a wide range of services covering any phases of HVAC maintenance, repair, or mechanical upgrades. All air conditioning services are performed by quality minded, trained professionals. We cover air conditioning service, installations, and replacement parts. Paul Currie Sr. has been serving southeastern Connecticut homes and businesses for 43 years, having accumulated a wealth of knowledge in plumbing, heating, and cooling. Our technicians are top notch, continuously updating their knowledge for the most up-to-date technologies in home heating, cooling and plumbing products. Our technicians start off as apprentices and spend years with Paul Sr. for homegrown knowledge and experience. Our commitment to customer satisfaction is unsurpassed. Our trucks all carry the tools necessary to get the job done on time and on budget, with as little disruption as possible. And, we offer top-of-the-line services, only the best quality products, and consistency in always completing jobs to code. 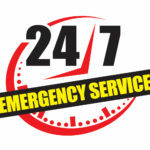 If you ever experience a plumbing emergency and need immediate repair, we offer 24/7 emergency service for plumbing and heating problems, so do not hesitate to call upon our team! All services are on a will-call basis. We do not require a signed service contract. CALL TODAY at (860) 859-3533. Copyright © 2019 Plumbing, Heating & Cooling, Inc.